It should not be yet another themepark MMO with a solo-centric storyline. It should also not be a sandbox game with rules as cut-throat as EVE Online. What it should be is a game without levels and without classes similar to how Funcom did The Secret World. It should be driven by storytelling, but rather than focusing on the player as the hero around which the story revolves, the story would be world-centric. The developers of such an MMO should establish the sequence of events that will happen in the world, and create a multitude of ways that players may become involved in those events. There could be avenues that allow a solo player to contribute, but with the emphasis on the notion of "I'm doing my part to help save the world," rather than the notion of "the fate of the world is in my hands." The latter notion plays well into a stand-alone or single player RPG, and is fine. But in a virtual world where potentially millions of players are all taking part in events, it hardly seems possible to feel like the hero, knowing good and well that all those other players coming out of the final encounter instance just did exactly what you did, and all those people showing up as you are leaving are about to do the same thing. I do not mean to suggest that the capacity to be a hero should not be there. But being a hero should have meaning beyond being one of many to complete the pre-scripted solo-centric storyline. It should mean that you willingly choose to do something that could have dire consequences to your character with the result of granting major benefits to others. Heroes do not get recognized for what everyone does by default. They get recognized by doing the extraordinary. For example, if I am traveling with a freiend who has completed a mission objective and we are on our way out. We've got a fist of trollocs on our tail and we won't make it. I tell him to go, Seize tainted Saidin and turn to face the Trollocs, throwing weaves of destruction at them. My friend makes it out unscathed, but I do not. There are too many Trollocs. I draw more of the One Power than I can channel unaided, and though I manage to wipe the shadowspawn out, I can no longer touch the True Source... But because my friend was able to get out of there with what he came for, a great victory for the Light is achieved. So I believe that the notion of consequences needs to be in there. DIRE consequences. Even to the point of permanant change, including death. Something like that will never work in a typical MMO. Because players of typical MMOs spend months and even years developing their character. Having that character die or become permanantly altered would be a serious point of contention. But if character development were to become more about what you've done and where you have been more than how many months you've spent leveling and obtaining sets of gear, then what you have is a collection of experiences that transcends just the game. As a player, I would remember the time when I sacrificed my ability to Channel so that my friend could make sure the mission was successful. Just because I can no longer channel doesn't mean I cannot still be of use. Those who survive stilling or gentling do so by finding some other purpose in life. Perhaps I may decide to pick up a blacksmith's hammer and devote my efforts to making things. I'll never forget that I once could channel. But the Wheel weaves as the Wheel wills... The idea stemming from a non-leveled and classless approach to character progression is that all these different skills and abilities would be available at my disposal, if I so desire to experience them. But if I never take an interest in blacksmithing, then I likely will never pick up a blacksmith's hammer. A Raid in a WOT MMO would be more akin to a large group of players facing horrible odds against an onslaught from the enemy. Almost like a PvP battleground, but with all the players on the same side. Furthermore, every character should begin on the side of the Light. Turning to the Shadow would be a choice available from the beginning. But Darkfriends can be decent people. Remember Ingtar? He redeemed himself in the end, but played the role the shadow had him play for a time. As a Darkfriend, there would be nothing anyone could look at to for evidence. I could be traveling with those who walk in the light, killing Trollocs right along side them. My role in the Shadow may be something other than just killing someone belonging to a different faction. Perhaps I am to worm my way into the good graces of a king or queen, and make it possible for other agents of the Shadow to come in and do real damage. Regarding special abilities, such as the foretelling or having the ability to channel, should be random, and not disclosed in some sort of stat menu. If I can sense shadowspawn, then when I get close, some sort of visual cue would present itself. At first, I may not realize what causes it, but after it happens a fee times, I would put two and two together and figure it out. But if as that character I choose a life of a craftsman and never set foot on a battlefield against shadowspawn, though the talent is there, I would never know it. Now there is the question of WHEN to set it. I say that it needs to be set before the birth of Rand al'Thor. All of the places need to be there, but the unique rules of the Wheel of Time univers would be in place, more importantly. The taint is not cleansed. Stilling and Gentling are not reversable. Traveling has not been rediscovered yet. All the factions are present, but rather self-interested now. Ideally a study of the pre-Rand timeline could pinpoint a span of time where nothing of consequence happens.That would be perfect to start things off. Then the developers could sequentially move the timeline forward by introducing the events that are recorded and giving players an opportunity to either witness them or become involved. Presumably, if it's after TG, there's no more Dark, so no Light vs Dark. You'd be left with Aiel/Andor/etc. vs the Seanchan. You know? I'm actually getting fed up with the MMO industry and the community that follows it. Corporate-backed MMO developers keep churning out mediocre titles that might as well be carbon copies of the competition's work, in spite of the fact that the community that should be their base SCREAMS at the top of their virtual lungs that they don't want that. Then you get a company that is not as strongly backed who listens and makes it a point to read and respond almost daily in the forums who tries to take their project off the main road and do something different, and the game just doesn't sell. So if it is not the developers failing to deliver what the community claims it wants, its the community refusing to buy what the developer painstakingly tries to deliver based on what it claims it wants. FLUSH THE MMO INDUSTRY DOWN THE TOILET! Frankly, I hope it is a LONG time before we see a WoT MMO. 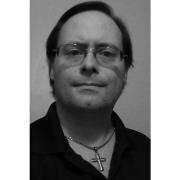 Let there be action games, strategy games, roleplaying games and adventure games, all with an online component that shares some sort of universal resource database. And then let the MMO be something that ties them all together by utilizing that database. MMOs try too hard to please everyone that they please nobody, or try too hard to please the whims of the suits holding the developers' leash and end up with the same result. So I say the industry needs to get back to developing different games with different core elements, designed to cater to specific player types. That's why the First Person shooter titles manage to be so successful. Those games are what they are and do not try to be anything different, made for people who like it that way. Imagine in the MMO implementation, playing a general of an army, talking to a King or whatever and receiving orders to take your army and attack. You go into your army management interface and issue orders to the soldiers you choose to send. And when you engage, it goes into the strategy game interface and you move your units like normal in the stand-alone version and the battle plays out... Or maybe you are sent to infiltrate an enemy stronghold, and when you get where you are going, you are in a solo/small-party multiplayer instance doing whatever the assignment is, and it plays out like a stand-alone action game. Microcosmic elements building Macrocosmic Worlds... Buy the individual gametypes sepearately, all with the same online backbone. The more gametypes you buy, the more avenues of activity are open to you. don't like action games? Don't buy the action component. Don't like strategy games? Don't buy the strategy component. Wheel of Time Online: Blacksmith: Adds a blacksmith's forge simulation component to the core game, allowing a player to create a Blacksmith character and support gameplay in other aspects by augmenting the production of weapons and armor. Strategy Aspect has reduced production time for weapons intended to equip new soldiers. Cost: $5.00 per account. If i don't want to do support gameplay as a blacksmith, I simply don't buy the feature. But if playing a support role that actually benefits others is my thing, then I have an avenue for exactly that. 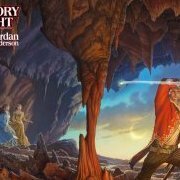 Wheel of Time: Andoran General - Player gains an Andoran General character and can now engage in strategic military battles on behalf of the nation of Andor. Wheel of Time: Asha'man - Player gains an Asha'man character who begins as a Dedicated and can wield the One Power in battle. At the rank of Soldier, the player may elect to commit his character to the Strategic Aspect and create a new Dedicated, or strive for the rank of Asha'man, at which point the same option is available, but commitment to the strategic aspect grants a much more powerful unit to the general he is assigned to. See what I mean by a shared resource database? We do not know what sort of result will occur when Aviendha tells Rand what she saw in her vision of the future. It may be the crucial piece to the puzzel of resolving the seanchan problem. If Rand manages to factor the Aiel into his negotiations, much of what she saw in the Columns may never come to pass. No, we don't even know if it'll be Seanchan vs the rest. But in terms of setting up conflict to be exploited by a game set post TG, it's the best hope.